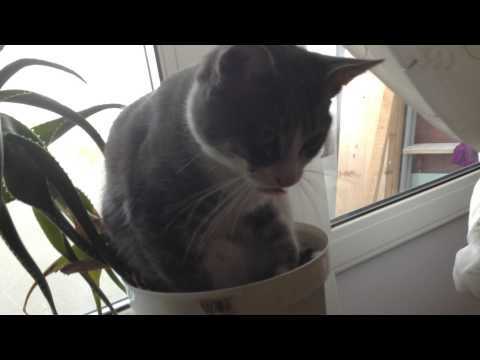 There are 1 cat videos tagged with plant. An adorable gray tabby cat just can't deal any more and won't wake up when it's poked and prodded by its owner. We're not sure how comfortable sleeping in a flower pot would be, but this kitty seems to think it's just fine.